A conventional loan is a home loan for individuals who have steady income, good credit and have funds available for a down payment. A conventional loan requires a 3% down payment. Greentree Mortgage Company, L.P. in Egg Harbor Township, New Jersey helps buyers secure a conventional loan when purchasing property. Learn about the Home Buying Process from Fannie Mae, and then get preapproved for a conventional loan from Greentree Mortgage Company, L.P. in Egg Harbor Township, New Jersey! 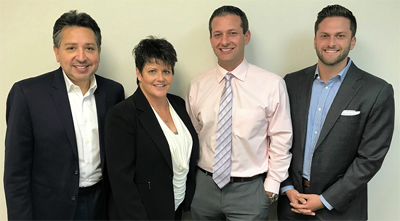 To see if you pre-qualify for a Conventional home loan, contact The Malamut Team: Jim Malamut, Nadine Feldman, Juan Jordan & Greg Malamut today at (609) 646-5555.